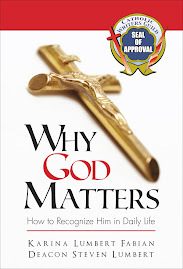 Kimberly's Book and Author Picks: Interview with John Hyde, author of "What's the Problem with Jesus?" 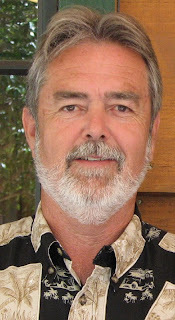 Interview with John Hyde, author of "What's the Problem with Jesus?" John Hyde is the kind of man that inspires nations and generations with his integrity to Christ. 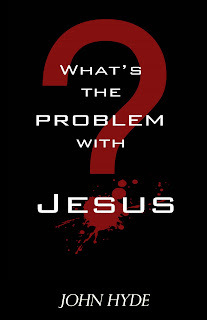 I've read his book, What's the Problem with Jesus?, and I can tell you that he has truly tapped into some of the most challenging questions that hinder people from coming to Christ. Please, take your time to read and respond to this interview. This one is powerful! 1. John, could you tell my readers a bit about yourself? I'm on the downhill side of life, most likely, unless I live to 120, then I'm halfway there! I experienced a severe attack from a deer over 3 years ago that almost took my life, 19 wounds, legs and arms pierced completely through, chest ripped open, holes everywhere. I have not and will not fully recover. But, it started me on another tangent to life. I graduated from Texas A&M in 1972, taught Vo. Ag. a bit, then with to the Air Force, where I flew for six years. I completed my service, and shortly thereafter, God called me into the Christian Camping ministry, where I've been for nearly 30 years now. I'm serving in my fifth camp, been here 13 years, and have built most of it from scratch myself. The first year it was opened, 450 attended. Last year, 8500 came through. I am the only staff, but am praying that will soon change. I have seen thousands of kids (and many adults) come to Christ while at camp. The atmosphere is truly unique. You are separated from the world for a while, no distractions, surrounded by friends who love God, and when the mix of music, worship, teaching, fun all comes together, lives are changed. I hope to make just a few more years to get this camp, Messiah's Ranch Christian Camp, up to a certain point. Right now, I am constructing a new dining hall and kitchen. It will have a school bus within it as a mini-diner, a tree or two, cascading waterfall, whatever else I dream up. My wife, Lydia, and I have been married 35 years, we have four grown children from 19 to 32, two grand daughters, 4 and 2. My wife is very involved as events planner for the Chancellor of the Texas A&M System. 2. What is your writing inspiration? And, how has your life experiences enhanced it? My father always wanted to write, dabbled with it a bit, wrote many short stories, but could never quite take the step of trying to get something published. I determined years ago that I would write "someday", and would follow through. That "someday" came as I was healing from the attack, thinking about how precious and short life is, and how I could somehow sum up all I live for and thereby inspire others to seek the truth of Jesus Christ. My many experiences in life will serve me well as I write, hopefully, much more. In fact, there have been many brushes with death, but the deer was by far the most severe. Out of those close calls, I have come to understand well how God indwells us and sees us through. 3. Tell us about What's the Problem with Jesus. I wrote What's The Problem With Jesus? in an effort to simplify the gospel as much as possible, and to appeal to the millions of empty hearts that have perhaps flirted with the idea of following Christ, but always seem to come up with some kind of excuse so as not to. And, there is so much misunderstanding about who Jesus really is and what His mission was while He was here. We're not much different than the people who were with Christ, yet rejected Him. 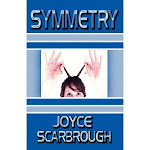 I wrote the book in a conversational, almost in-your-face style, yet gentle enough so as not to scare the reader off. The idea was to confront the reader with their need to make their choice now while there was still time. 4. What do you think readers will gain from reading this book? Hopefully, readers will gain eternal life after reading the book. That's the main objective, I think, of any writing that attempts to point people to Christ, wouldn't you think? I know that we l ive in very challenging times. I have seen such a decline in our country over my short life. People are searching for answers and coming up empty. The answers are right in front of them, but they choose not to see. Generally, a major crisis in one's life will eventually drive someone to come to terms with their mortality. I want them to experience the fullness of life all along the way after they have made that step of following Christ. I hope the book will inspire Christians to give it to their lost friends. I've already seen that the book has confronted a few Christians with what they thought they believed. As I said, I tried to make it so simple that the message is impossible to miss. 5. Are there any other literary works coming up in the near future? I have many books swimming in my head, all waiting for me to sit down and get started. The demands of running a camp alone are much more daunting than anyone could possibly understand, so time to write is scarce. If I can ever find the right help at camp, I can write more. My next book will likely be about the Church, Lord knows how messed up it has become and is the reason so many people won't accept Jesus. Then I will likely start one that is staunchly about life, directed at those who accept abortion as no big deal. The rest I will save for now, but I think there are about 8 books at the moment. 6. What advice do you have for other authors? Advice for other authors? Like I know a lot about being one?? Well, mostly I would say that people need the truth more than ever. Fiction and fantasy reading is ok to pass the time, but does it change one's heart? That's all I want to do is point people to the One who will change their hearts forever. I used to read a great deal in my early Christian years, seeking to grow into a mature Christian. The older I get, the more I realize I don't yet know. The mysteries of God are unfathomable, but worthy of our pursuit. 7. Please give us purchasing information. The book is currently at Amazon.com, Barnes & Noble, a few other places I'm not sure of. It came out in January, I am learning how to market it, and it's not easy when you are not an established author. But I did notice recently that the book went from something like 1,655,000th place on Amazon to 840,000. But maybe that's because I purchased 50 books to give away in marketing efforts.... I don't believe it is in any stores yet as it may be print-on-demand. I long to see it there some day soon! INSPIRING! I'm very happy I came across it on Twitter. That's also why I write and plan to keep writing for Christ. Hi Kimberly, thank for the friend invitation on FB. I saw your blog so linked over. This was a good interview. I haven't heard of this book but it sounds like one I'd like to read.